The Ribbon is the strip of buttons and icons located above the work area. and it is organized into various tabs, such as: File, Home,Insert, Page Layout, Formulas, Data, Review, and View. while clicking on a tab, you will saw all of program’s features and commands. 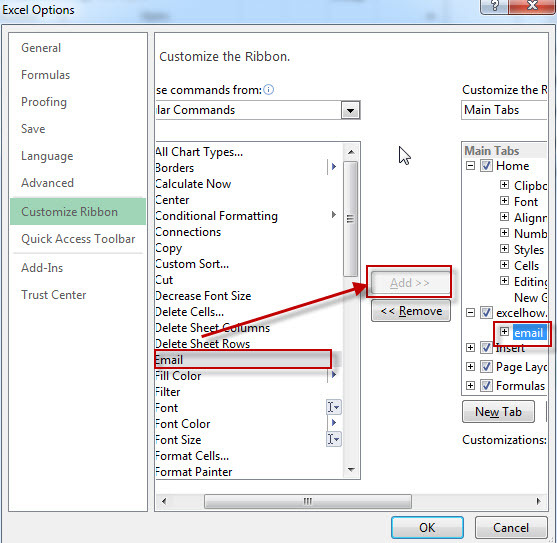 This section will guide you how to customize/collapse/show/hide/reset/the Ribbon. 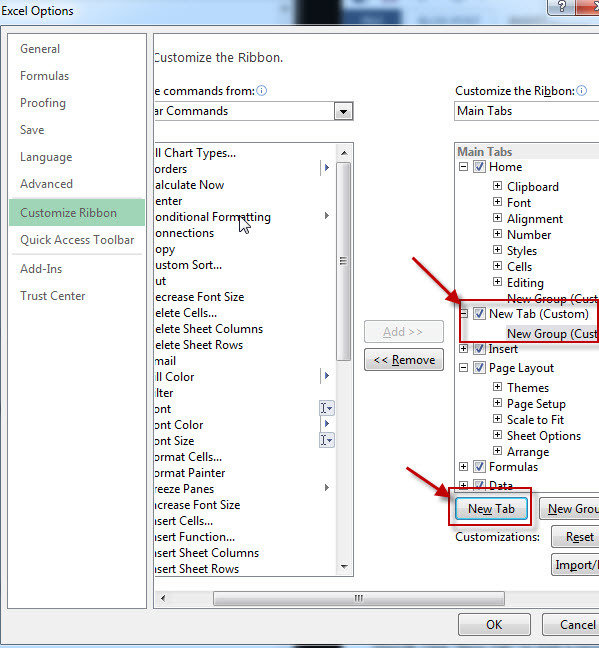 you will also learn that how to add developer tab to ribbon and how to set quick access toolbar on ribbon. The following tabs are shown on the ribbon by default: File, Home, Insert, Page, Layout, Formulas, Data, Review and view. you will find the most basic and frequent features on Home tab. 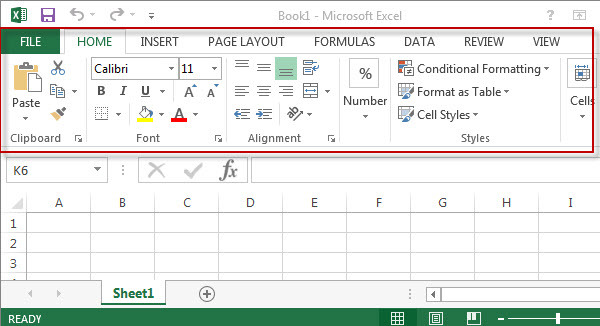 The Home tab is the default tab in Microsoft excel. 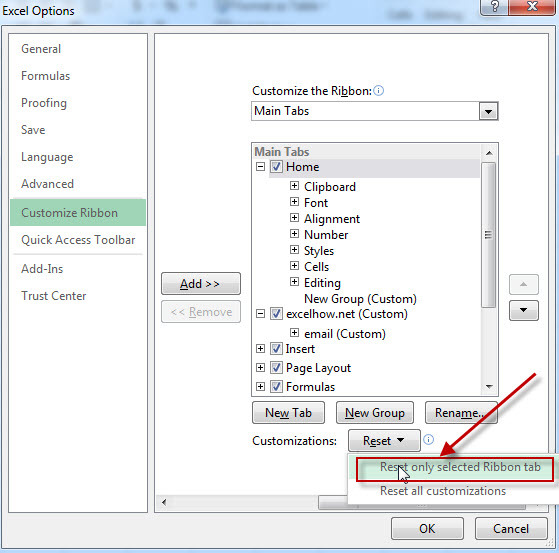 The below screenshot shows an example of the Ribbon Tabs and Home tab in excel 2013. 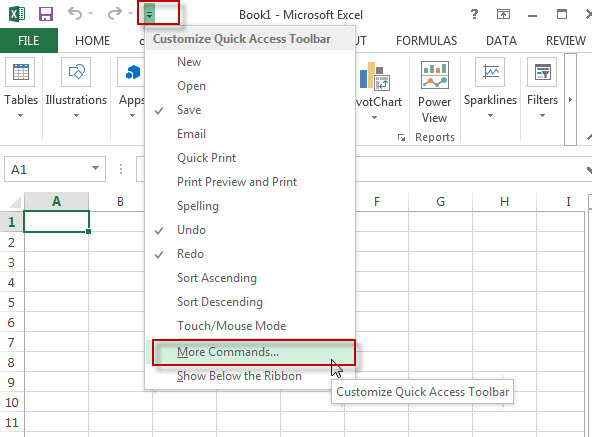 You can easily customize the ribbon in excel , such as : add, remove, rename, reorder, reset ribbon tabs, groups, commands. 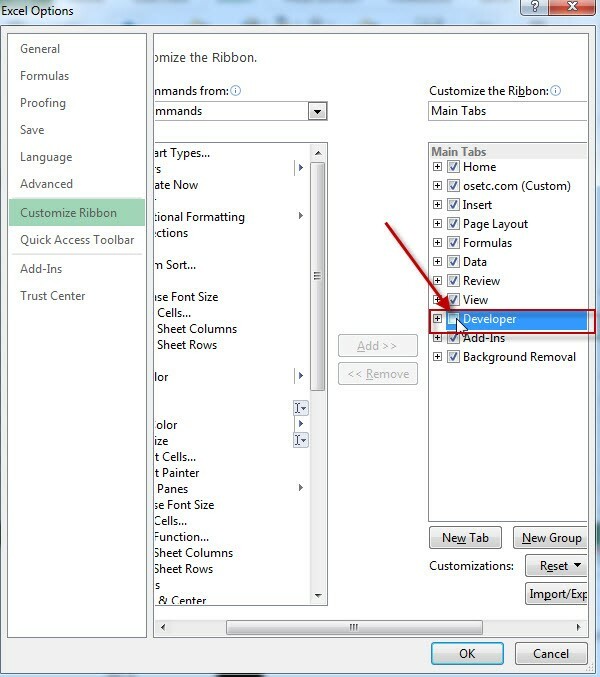 Step1# Right-click on any ribbon tab name or anywhere on the Ribbon , then click “Customize the Ribbon”. 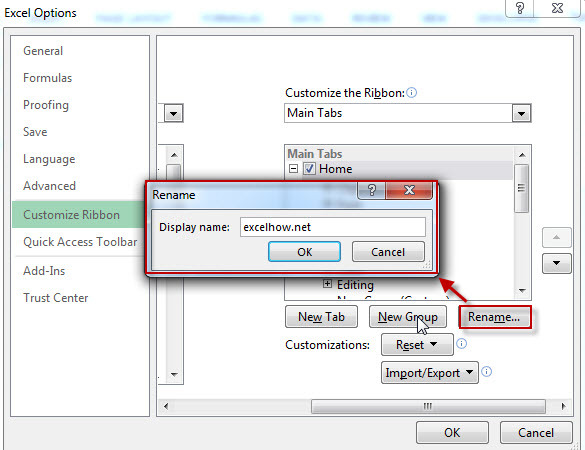 Step2# Click “New Tab” to Add a newly ribbon tab and custom ribbon group. Step 3# type the name you want to set. Step 3# next to click “Add” command. You can reset all Customizations or just reset only selected ribbon tab, just click “Reset” button then click “reset all customizations” or “reset only selected ribbon tab” . The below screenshot is the customized result for ribbon tab. You can add the most frequently used command to Quick Access Toolbar. by default, the Quick Access Toolbar just contains three button: SAVE, Undo Typing and Redo typing. 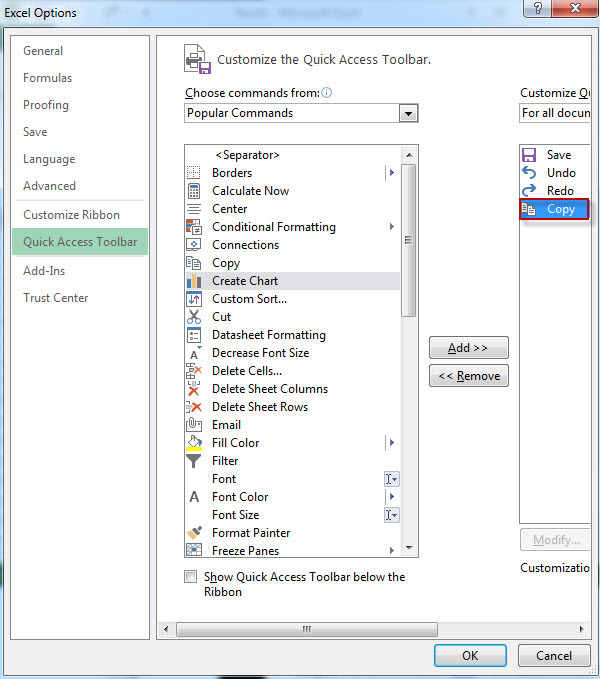 Now we will talk how to add a command to the Quick Access Toolbar. Step 1# click Customize the Quick Access Toolbar > More Commands. Step2# Select commands Not in the Quick Access Toolbar, then click “Add” button, then click “OK”. Last, see the result of add command to Quick Access Toolbar. Step 2# check “Developer” tabs under “Customize the ribbon” list. Then click “ok” button.